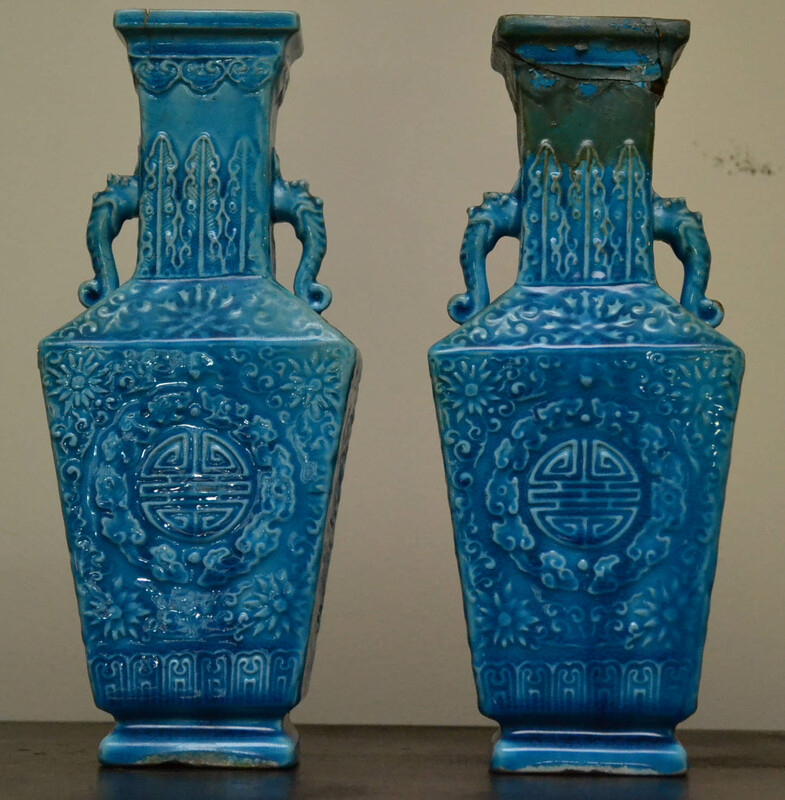 This pair of vases has a bizarre looking Qianlong mark on them that I wanted to get some opinions on…does it look right? I'd say the marks and the vases are about right for the decade of the 1920s in the Republic period, when the civil war was competing with the kilns for men and materials and the provinces were starting to institute economic programs to keep the porcelain industry afloat. 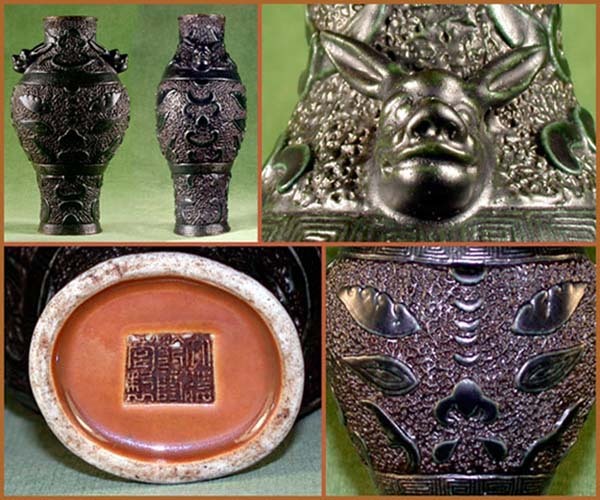 Some ideas worked better than others, your vases perhaps being one example, and the pair with Luohan decoration pictured below being another. They're eight inches tall and of a compressed oval baluster form, with blackish faux bronze glaze covered in a silver luster finish. I apologize for the quality, but some screen prints are all I have for this odd pair that I archived for research about fifteen years ago. This kind of luster finish was tricky for Japanese and apparently even worse to handle for the Chinese. In any event, I notice that one shot shows remnants of a "China" marking like yours. 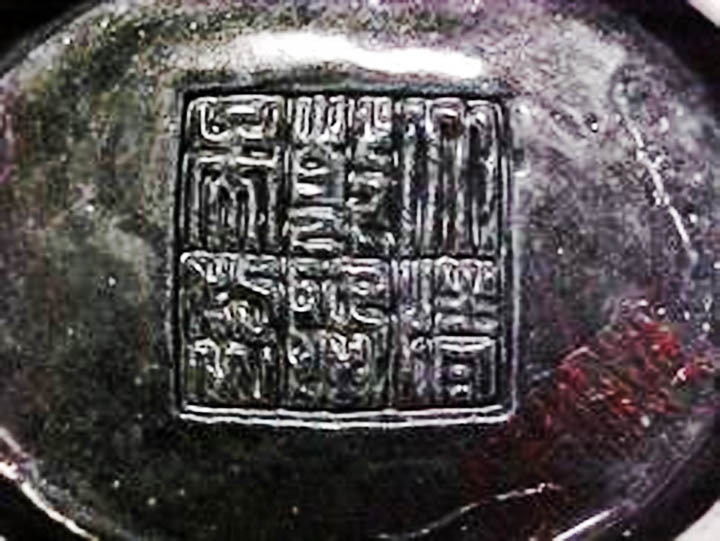 In this regard, I know it's commonly said that the "CHINA" mark is earlier than the "MADE IN CHINA" mark, but I believe it also is fairly well established that the USA began accepting imports under paper labels along with or fairly soon after requiring the latter new marking around 1920. 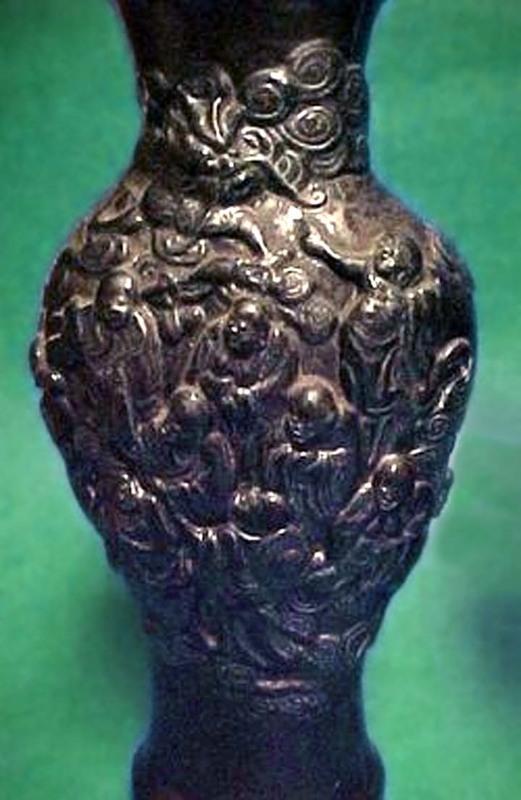 Finally managed to unearth a set of images of the vase I formerly owned, which was the raison d'etre for the others that I archived in my research file. 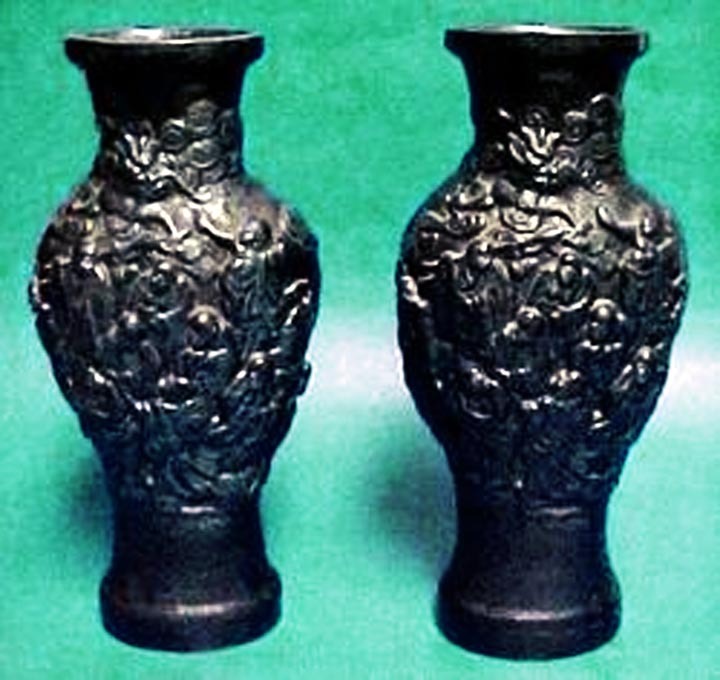 This pair of vases is the ultimate grotesque take on taotie patterns with what looks like rabbits but may be misplaced updates of bats at the shoulders. I sold these about ten years ago but miss them dearly. Thank you so much, Bill! I love those bat vases. It looks like someone fed those guys after midnight! 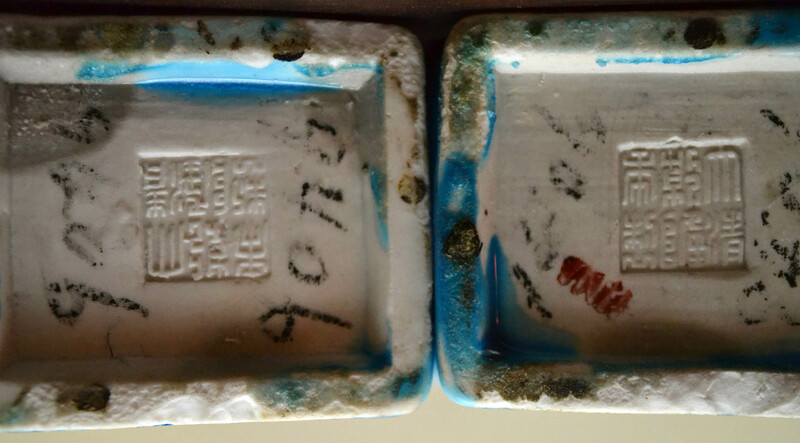 Would you by any chance have thoughts on my earlier "Chenghua Marked Ginger Jars" post? Again, so appreciative of your knowledge and time.